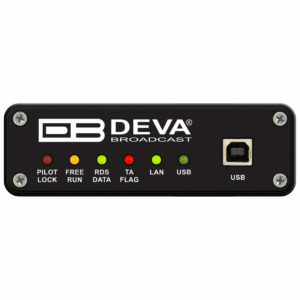 DB4000 is the most cost-effective unit for permanent monitoring of the quality and continuity of up to 50 FM Radio Stations with innovative features such as TCP/IP connectivity, audio streaming and automatic alerts on predefined ranges in regards with the ITU-R. In case of any faults in the transmission the maintenance staff will be immediately alerted via E-mail or SMS which signals the technicians to restore the normal service as soon as possible. This tool enhances the radio stations’ quality control management. DB4000 enables you to monitor your own frequency continuously and at the same time keeps you informed about your neighbouring stations. The included PC software ‘DB4000 Device Manager’ gives you control over unlimited number of field-installed units, and allows you to observe from the monitoring sites all the parameters and measurement values of your network. ‘DB4000 Device Manager’ is a total control solution for remote monitoring networks. The map interface enables getting immediate and clear view of the monitoring location or to the whole network. Due to the universal cartographic interface any kind of maps can be used. When using the map interface the user is allowed, by a flashing red light, to see quickly which site has an alarm on it. He can access the equipment and the alarm directly from this map with just a click on the desired location.